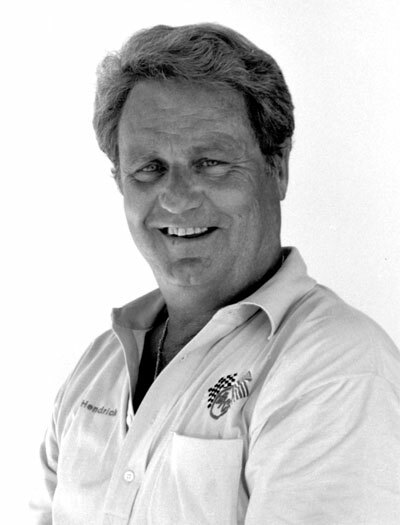 Jim Hendrick, the longtime voice of Unlimited Hydroplane Racing, passed away last night in Lakeland, Florida. He was 82 years old. Hendrick was a major player in the promotion of “Water Racing’s Greatest Show.” From 1972 until 2005, Hendrick organized and executed the Unlimited Radio Network, which provided live Final Heat coverage of every Unlimited race. But the story begins long before that. Jim participated in his first race broadcast in 1948 at the tender age of 13. He assisted a radio crew that headquartered on the deck of a submarine. This was the APBA Gold Cup on the Detroit River, one of the first major races to be run after World War II. By the 1960s, Hendrick was a well-known broadcast personality in the Detroit area. He covered other sports, but the boats were his first love. Jim demonstrated that love for the sport and the people in it during the tragic aftermath of the ill-fated 1966 President’s Cup in Washington, D.C. That was when three drivers were lost in two separate accidents on the Potomac River. That morning, Don had asked Hendrick to wish the elder Wilson a Happy Father’s Day. With the establishment of the radio network, Jim’s voice became familiar to fans across the country. The live Final Heat broadcasts would be preceded by a series of on-the-spot reports with summaries of preliminary heats. For several years on the network, Hendrick’s broadcast partner was URC Executive Secretary Phil Cole. Jim and Phil had a good chemistry and brought out the best in each other. They really made those classic Pay ' Pak / Miss Budweiser duels of the 1970s come alive over the airwaves. Hendrick has also promoted the sport through the medium of television. His TV resume includes CBS Sports Spectacular, ABC Wide World of Sports, and ESPN. He qualified as an Unlimited driver at Tampa, Florida, in 1966 with Mike Wolfbauer’s Savair's Mist but never drove in competition. Jim made an on-screen appearance as himself in the hydroplane-themed Madison movie, released in 2005 by MGM. The film was a re-telling of the 1971 Gold Cup story, which Hendrick had originally covered. In 1996, Jim was the recipient of the prestigious Gar Wood Award for conspicuous long-term service to the sport. In accepting the award, he gratefully acknowledged the contribution and expertise of engineer Eddie Bush, who had worked with Hendrick on the radio network for many years.